Miniature Schnauzer puppies are just too cute for words and owning one (or more) of these precious fur babies will fill your home with lots of love and happiness. 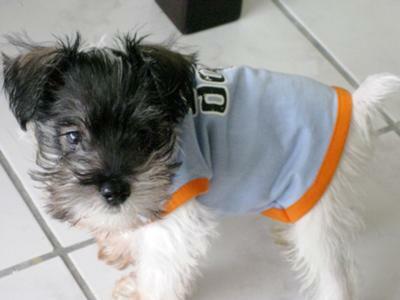 At birth, the average Mini Schnauzer weighs between 4 to 9 ounces and is anywhere from 3 to 7 inches long. As an adult dog, they stand 12-14 inches and weigh between 11 to 20 pounds. Click on the chart to open PDF file. 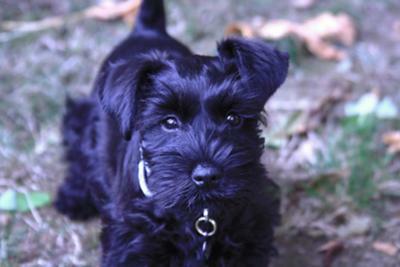 See the first year growth and development of a Miniature Schnauzer puppy. 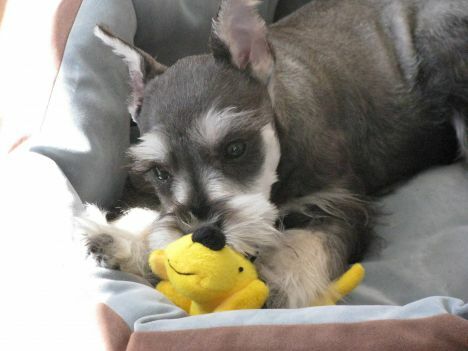 Find out just how big your Mini Schnauzer will get to be. 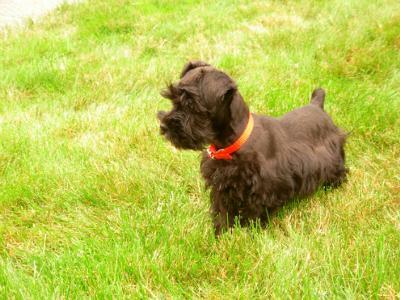 note: Although each Schnauzer's weight and size will vary a bit, the general guidelines for the breed remain the same. 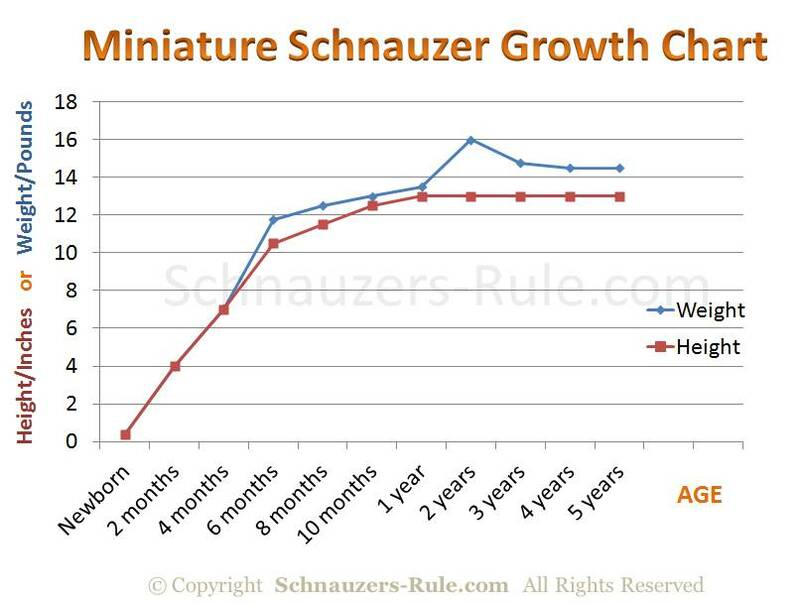 Photos and explanation of puppy development along with the height and weight documented of Miniature Schnauzer SAMSON: Miniature Schnauzer Growth Rate Chart. With an average lifespan of about 15 years, you will be making a long-term commitment. (take our dog quiz to find out if you're really ready to own a dog). 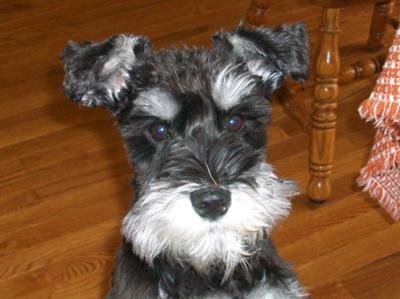 Just read what Miniature Schnauzer owners say about their dogs. 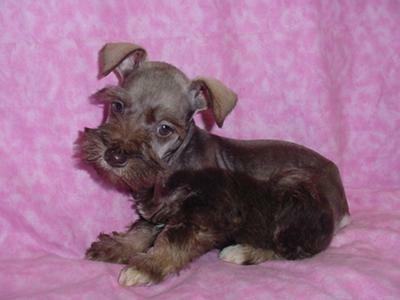 Miniature Schnauzers are highly social pups and very affectionate so they need lots of family time. They just love being the center of attention! But raising a puppy is a lot work. You will want to make sure you invest the time, patience, and proper training techniques to transform your new puppy into the perfect companion. And while that doesn't happen overnight, it does happen. The intelligent Schnauzer revels in positive training techniques and needs his mind stimulated. Daily training will not only corrects forms of behavior, it also enhances the relationship and bond between dog and owner. In the end, you will a well-behaved dog and companion that can go anywhere with you. And that's real joy! 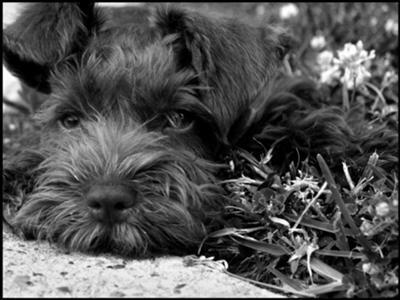 Below enjoy some puppy photos, a video, and our on-line care guide to help you train and raise a happy healthy Miniature Schnauzer puppy. Arrooo! 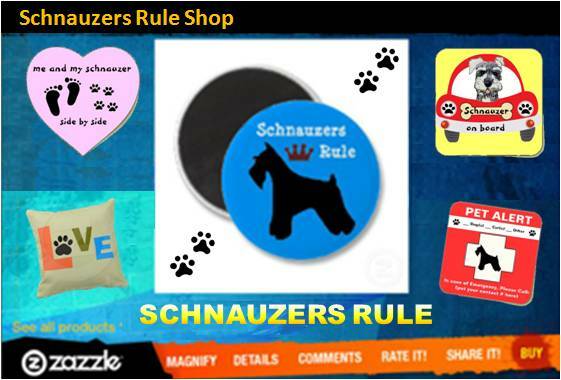 And don't forget to share your Schnauzer adventures with us on Schnauzers Rule! Check the links on doggy fun times for ways to participate. Remember you are choosing to bring a puppy into your life. Be sure you will be a responsible dog owner! Your new Miniature Schnauzer is depending on it. 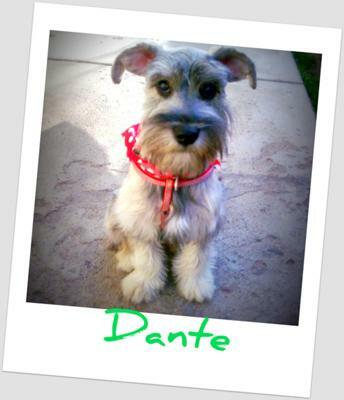 •Schnauzer Contest: Enter your Schnauzer puppy in our monthly dog photo contest! 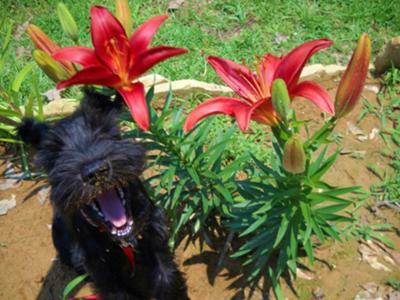 AND Don't forget to share you exciting news by sending a free Schnauzer ecard announcing the arrival of your new Miniature Schnauzer puppy to all your family and friends!